Those charged with misdemeanor offenses often believe the charge is not that serious. People sometimes think that they can just avoid a criminal record by pleading “no contest” or accepting probation. If you were charged or cited with a misdemeanor, you should not attempt to resolve it without the assistance of an experienced criminal defense attorney. If you don’t do things right, you might get convicted of the crime and face very serious collateral consequences. That conviction can remain on your criminal record forever. Further, misdemeanors can sometimes be viewed as a first strike for those who are subsequently convicted of other criminal charges that then become much more serious. A misdemeanor is any offense that is punishable under Florida laws, or that would be punishable if committed in Florida, by imprisonment in the local County jail. It is important to hire an attorney who can assist you if you have been charged with a misdemeanor. An experienced attorney can guide you in entering an appropriate plea or defense, and in some cases, can even arrange to have the charge dismissed. Contact the attorneys at the Pumphrey Law for a free and confidential consultation regarding your alleged misdemeanor offense. The firm proudly represents individuals throughout the Florida Panhandle, including the cities of Panama Beach, Tallahassee, Bonifay, Quincy, Freeport, Blountstown, Port St. Joe and Bristol, among others. The firm has a great deal of experience representing all kinds of individuals accused of many different misdemeanor offenses. Although less serious than felonies, misdemeanors can still be difficult to defend, along with having the potential to stay on your permanent record. Representation is also offered for those accused of misdemeanor theft. Considering this is a crime of trust, having a theft conviction on your criminal record can hurt your prospects of finding a job or getting into certain programs or schools. Don Pumphrey and the legal team also have a strong comprehension of Florida DUI laws and have represented many individuals accused of their first DUI offense. This also extends to those who have been in trouble before, with the firm willing to work with Floridians accused of a second DUI offense. The firm also works on cases that involve violent misdemeanors. This includes the allegation of misdemeanor assault, which can come with harsh potential sentences because of the fact that you are threatening another with physical injury. Additionally, they also focus on individuals who are currently dealing with a misdemeanor domestic violence charge or have been accused of a violation of probation. No matter what the charge is, you can count on the Pumphrey Law. disorderly intoxication / public drunkenness. Misdemeanors, as defined in § 775.081 of the Florida Statutes, can either be misdemeanors of the first degree, or misdemeanors of the second degree. According to Florida Statutes §§ 775.082 and 775.083, misdemeanors of the first degree are more serious. First degree misdemeanors are punishable by imprisonment up to one year and/or fines up to $1,000. Second-degree misdemeanors, which are less severe, can incur up to 60 days imprisonment and/or fines up to $500. Misdemeanors are often less serious charges than felonies and can carry less harsh punishments. Felonies frequently involve state prison time of more than a year, and misdemeanors can incur county jail time for 12 mnoths or less. Additionally, fines for misdemeanors are lower than felony fines. However, habitual misdemeanor offenders can receive greater penalties. If someone receives four or more misdemeanors within a certain period of time, they can be classified as a habitual misdemeanor offender. Under Florida Statutes 775.0837, habitual misdemeanor offenders in Florida can be sentenced to mandatory prison time, mandatory commitment to a treatment program, or mandatory supervised detention. Once you have been convicted of a misdemeanor, it may be on your criminal record for many years to come. However, it is possible to have your criminal record sealed or expunged with many misdemeanors. If your misdemeanor record is expunged in Florida, the court records will be destroyed, but the Florida Department of Law Enforcement will retain a copy of the record. However, other governmental entities will not have access to the record. When you seal your record, certain government agencies will be allowed to access your criminal record, but the general public will not be able to see you have a criminal record. the person has committed a felony or misdemeanor or violated a municipal or county ordinance in the presence of the officer. An arrest for the commission of a misdemeanor or the violation of a municipal or county ordinance must be made immediately or in fresh pursuit. The courts consider the sufficiency of reasonable suspicion or probable cause by looking at the events which occurred leading up to the stop or search. Then the courts consider whether these facts, viewed from the standpoint of an objectively reasonable police officer, amount to reasonable suspicion or to probable cause. If you have been charged with a misdemeanor in Leon County, Tallahassee, contact the attorneys at the Pumphrey Law to discuss the particular facts of your case and your possible defenses. An attorney can help you understand the most effective ways to present mitigation or have the criminal charges dismissed entirely. Hiring an aggressive attorney is your best option to avoid harsh penalties. 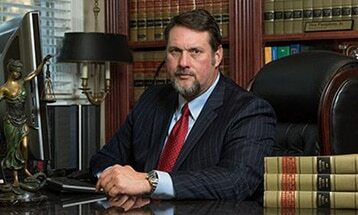 Contact us at (850) 681-7777 for a free consultation about your alleged misdemeanor charges.